Can you handle one more miracle cure for everything from obesity to arthritis? But this latest “miracle” could provide relief for a whole range of thorny problems associated with aging, so listen up everybody. I recently had the great pleasure of reconnecting with a childhood friend who has moved to my town. She looks great and spends her free time cycling or running up and down the bleachers at the high school stadium to stay in shape. My exercise program on the other hand involves pushing a grocery cart around the supermarket. As she described her regimen, she casually mentioned someone prescribed “Jogging in a Jug” to reduce joint pain and promote weight loss. Intrigued, I begged for more information. Apparently someone was marketing a short of “happy juice”, but she obtained the secret recipe which was a simple mixture of grape juice, apple juice and apple cider vinegar. You’re supposed to take a jigger-full several times a day and wait for the aches, pains and appetite to subside. “I started taking it as a cure for some joint pain, but I quit smoking instead,” she announced with a straight face. Confused, I was having a hard time following her train of thought, but my brain was already plotting an escape to the store before it closed to pick up the necessary ingredients. I was chug-a-lugging the tart cocktail by bedtime. I would compare it to licking the port-o-potty at LollaPalooza. My friend couldn’t believe I’d not heard of this miracle cure for everything from arterial clogs to high cholesterol. Apparently the jogging juice, like ear stapling, made the rounds back in the early 90s and faded away either because it didn’t work, or because it was so distasteful. I suddenly remembered my father telling me that my great grandmother drank a vinegar mixture every day and she lived to be in her nineties. She wasn’t overweight either, but she did dip snuff. And if an apple a day keeps the doctor at bay, wouldn’t apple cider vinegar be just as effective? There are many recipes for “Jogging in a Jar or jog” online. The one most reported is as follows: mix 2 tablespoons of apple cider vinegar with 1/4 a cup grape juice and 1/4 a cup apple cider. If you have a sweet tooth you may mix 1 tablespoon of organic honey, 100% maple syrup or molasses to taste. If you are diabetic, use a sugar substitute. “Take this cocktail twice a day and you will start to see changes like increased energy, clearer skin, and decreased muscle and joint aches,” state the claims. The cocktail was nicknamed “Jogging in a Jug” because supposedly you could drink it in place of jogging – just how far I’m not sure- maybe only to the sink to spit it out. I’m on my third day and I decided to nix the juices – I just take a shot glass full of the dark vinegar in the a.m. and again before bed. It works – at least for the appetite part. If you see me taking a nip out of a small flask – I promise it’s vinegar. You can watch my face pucker for proof! This entry was posted in Boomerang & the old gang, Food & Entertainment, General Stuff and tagged arthritis cure, Cider vinegar cure, Jogging in a jug, weight loss by Emily Jones. Bookmark the permalink. Update—I was having terrible leg cramps at night until I began taking this stuff. I haven’t had one since! I wanted to check in with you to see how well this concoction worked for you. Any updates? I am just starting this adventure with jogging in a jug. I can honestly say it is better over ice. I heard about it from a girlfriend as well who said her husband has lost 25 pounds on this concoction. She is the one who suggested drinking it over ice which is how I started and it actually is not the worst thing but it is not the best thing I ever drank. I’ll check in from time to time and let you know if it works for me for weight loss. Thanks. I don’t believe you. That would burn your throat like fire. I’ve been drinking about 2 oz of my home mixed “Jogging in a Jug” since July 1995. I am a wonderful specimen of health . . . well, my wife says if you cut me, I smell like a pickle. But I enjoy the flavor as a pick-me-up in the morning since I don’t drink coffee. Love it. and there are sets that look like tea tables and seats. your patio and garden needs. There was really a product manufactured in Alabama in the ’80s called jogging in a jug. It came in a glass gallon jug (looked like a moonshine jug) you could tell it had grape juice and vinegar. Made lots of health claims, US Government made them pay huge fines, and they closed. My father in law bought the product, swore by it, and found a way to re-create it in his own kitchen. So did many others. Glad to hear it is still around and works! 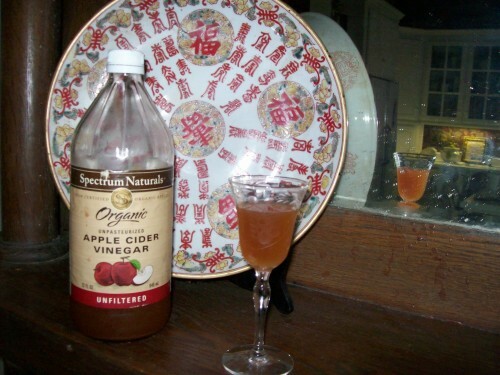 My grandmother’s recipe is as follows… 4 cups apple juice, 4 cups WHITE grape juice, 1 cup apple cider vinegar. It tastes WAY better than using purple or red grape juice I PROMISE!! and can have detrimental effect on the bones and teeth. storage tank taking up space. With so many options to choose from, it is nearly impossible to make a list of the top US ski resorts. it from an historical and chronologically obsolete perspective. If your mom loves to listen to music while she works, you can assist her by purchasing gift certificates to online music stores. at the restaurant include catering, takeout and delivery. Not least is whether a member of family can fund a $ 5,000 personal loan within the first-place. with a rapid approval procedure.